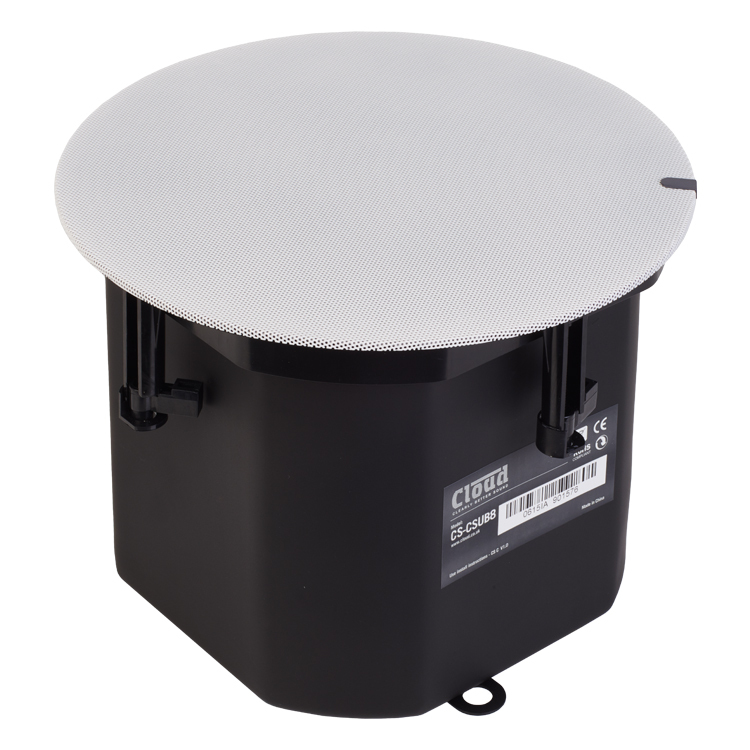 Cloud's new and exciting CS-CSUB8 is an 8-inch in ceiling subwoofers designed perfectly for any application. Excellent low frequency extension, ZeroEdge™ magnetic speaker grilles available in black or white, accessible high-impedance or low impedance switch settings and removable logos ensure Cloud speakers can be used discretely in almost any venue. 100v - 100W, 50W, 25W, 13W, or 100W@4Ω. 70v - 100W, 50W, 25W, 13W, 7W or 100W@4Ω. 25v - 13W, 7W, 3W, 1.5W, 0.8W or 100W@4Ω. Weight: 3.7kg net, 4.5kg gross.